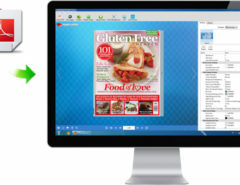 Flip book PDF is the latest trend in the market to create and show your online brochurs, catalogs, marketing booklets and online flyers, particularly on your own website. This helps in marketing and increase of your sales, by making your websites more stylish, appealing and professional; and attracts your customers to visit your website again and again with much more comfort to search and find their required items. There are many many digital platforms to create Flip pdf and even for free as well, few of them are Yumpoo, Joomag, FlipSnack. When we talk about about advertising of the products, websites is one of the main source to market and sell your products. There was a time, when creating a website was a very difficult task and was developed by a team of professional people. But as the information technology has improved, so are the ways to develop websites. and in now a days, its a matter to minutes, by using the online platforms. WordPress is one the most used platforms for creating the websites. WordPress is a free and open-source content management system (CMS) which helps in creating and then managing the websites and blogs very very easily. There are many plugins available for wordpress for different purposes, like for authentication and security, for look and feel, similarly to embed the pdf flipbook into wordpress there are many plugins as well. These plugins make it very easy to introduce the flip book pdf into the website. They are available free for anyone with a wordpress account to download, some advanced features are available for a price as well, for the users depending on the level of their usage. Log in your WordPress Adminstrator, then click Plugins>> Add New in the menu, and then upload the output ZIP file, click “Install Now” to start the installation. After you install the plugin, you will need to activate this new added WordPress plugin. And then you will see the the Flipbook plugin in the menu. After you have activated the flipbook pdf plugin, click on FlipBook, then you will see the plugin in the list. At last, you can copy the shortcode and paste it to your WordPress or post. And you can preview your published flipbook in your WordPress site. 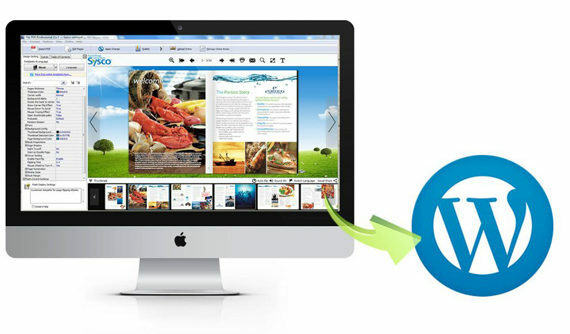 Responsive flipbook wordpress plugin is the most commonly used plugin by wide users and helps the users to easily embed a flipbook into wordpress. This plugin enables you to publish PDF documents into stylish flipbooks on your wordpress website or blog. Hope this article helped you in understanding the concepts of Flipbooks and how to use flipbook plugin in WordPress. We’ll be happy to receive your feedback.